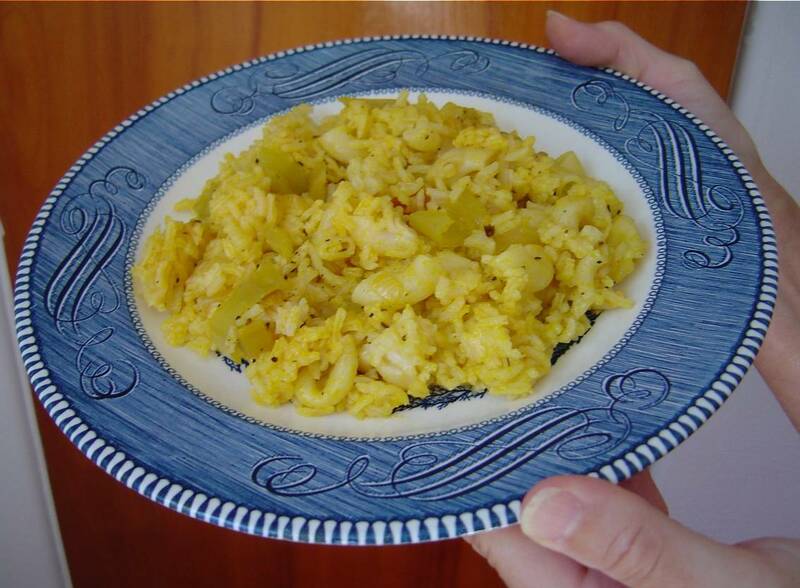 My rice dish is healthy, easy and delicious! When you’re in a rush and want something easy to prepare for lunch instead of a sandwich or, perhaps, a side dish, then I have the answer for you with this recipe for my Rice Pilaf. What’s fantastic about this is how economical it is besides being a delicious hot simple dish. This rice pilaf is versatile and works with practically any vegetables you may want to add. This is especially helpful when you have your garden crops coming in such as what to do with your zucchini, tomatoes, peppers, etc. Fresh herbs are excellent in rhis Rice Pilaf as well. I like to dry mine and then process them in the food processor to get a spice blend or a single herb powder to provide exquisite flavor. Again, you can switch out spices or peppers to suit your own taste. I, however, love hot Hungarian wax or Jalapeno peppers to give it that nice nip, but that is my personal preference. The Virgin Palm Oil is a reddish oil that brings a delicious change to this pilaf as well as tinting the rice a deep yellow. You can use chicken or beef stock or just use plain water. All options work in my recipe from throwing in some left over chopped chicken or beef or even adding some cooked lentils. The addition of legumes turns this rice dish into a complete protein and a great vegetarian meal. Giving my Rice Pilaf recipe a try is worth it if you want a delightful change. Trust me, and you will like it! Brown your chopped onion, pepper, celery in the oil. Add the uncooked rice, elbow macaroni or noodles of your choice and cook about a minute first before adding the four cups of water or stock. Bring the pot to a boil, then reduce the heat to low and cover, cooking for twenty minutes until the rice is done. Next Post Run Out of Gentle Detergent for Your Delicate Washables?